Poppy Jasper is the reddish variation of brecciated jasper. 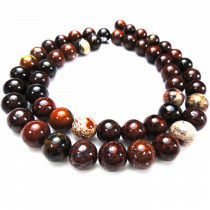 Sometimes it is just referred to as brecciated jasper, but the modern term is poppy jasper. 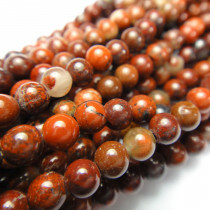 Poppy Jasper Round 4mm Gemstone Beads (100pce Strand) - 40cm/16'" Strand. 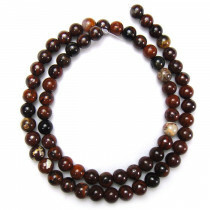 Poppy Jasper Round 6mm Gemstone Beads (66pce Strand) - 40cm/16'" Strand. 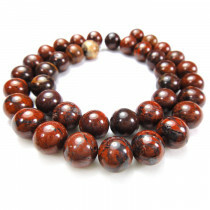 Poppy Jasper Round 8mm Gemstone Beads (50pce Strand) - 40cm/16'" Strand. 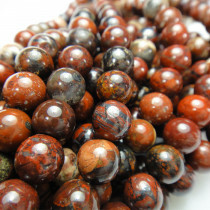 Poppy Jasper Round 10mm Gemstone Beads (~40pce Strand) - 40cm/16'" Strand. 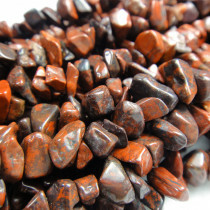 Poppy Jasper Gemstone Chips 5x8mm (~160pce Strand) - 91cm/36'" Strand.